One of the first objectives that you will need to follow when you are involved in this type of trading is to determine your entry and exit prices. It’s easy to let your emotions get involved when a stock is moving up or down. As a result, you will probably end up purchasing at the top and selling near the bottom of the price moves. Determining a level where you want to enter the trade and a target where you want to exit will take all of the emotions out of the equation. A stop loss is an area where you know that you will exit a trade if it turns against you. You must have this in place before you begin a trade so that you don’t lose too much money. Typically, you will place a stop loss that is one percent of your portfolio or less. By using this price trigger, you won’t blow up your account. It forces you to realize that the trade setup did not work. Capital is your best friend when trading. By using a stop loss, it ensures that you keep an adequate amount of capital so that you can take another trade. If you are going to participate in intraday trading, don’t become an investor. This occurs when you fail to use stop losses and start averaging into trades that have moved in the wrong direction. It often occurs when you try to average into a trade that keeps going down until your pain becomes unbearable. At that point, you will probably sell and then watch the stock rebound while you are out. It’s important to have a trading plan that you stick to. Only take trades in patterns that you understand and define your risk every time. When a stock or the overall market is heading up or down, it’s going that direction for a reason. It’s better to enter stocks on an intraday basis when they are trending in one direction or are in alignment with a market. If you attempt to catch falling stocks, you will need to be fast on the trigger. While they will have areas where they will bounce, it’s often better to short down movements after they rebound or during early stages when they first break support. Have a list of setups that work so that you can avoid taking a spur of the moment trade that is purely emotional. When you become familiar with a stock, it’s easier to understand its patterns. By keeping a list of 5 to 10 liquid stocks or ETFs that you follow each day, it will benefit your intraday trading. Liquid stocks will have high volumes on an intraday basis. This makes it easier to get in and out of them. You can also use a scanner before the market opens to make a list of hot movers for the day. Equities that have recent news and volatile price swings are some of the best to trade. When you go into battle on the trading field, it is best to use the same tools and attack the same formations. These are your indicators and patterns. Hopefully, you’ve practiced with them before risking real money so that you know how they work. It is often best to keep this simple. You are using indicators as your guide. If you choose to use a moving average or relative strength indicators (RSIs), learn how they interact with your trading setups so that you’ll be prepared and ready when it’s time to take a real trade. If you’re going to be trading intraday, you won’t be holding an open position overnight. This is a crucial tip to remember. By keeping your trades open only during the day when you can watch the action of the market, you’ll avoid catastrophic drops due to bad news such as poor earnings. Intraday trading is a powerful, fast-paced strategy. 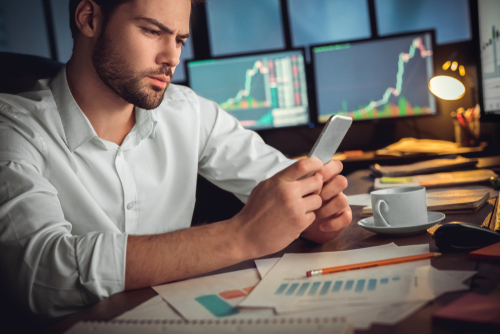 By following these seven tips, it will help ensure that you keep your capital safe and only take trades that are preplanned. The markets will always be around. You want to make sure that you have capital available to trade them. If you’re interested in learning more about investing, check out our Retirement Planning Glossary.